Like fluttering emeralds dancing in the air and hovering next to brilliant blossoms, these illustrations of hummingbirds make a lovely finishing touch for all your letters and packages. A unique feature of the hummingbird is that its wings move in the pattern of an infinity symbol making it a sign of eternity. These birds also migrate thousands of miles despite their tiny size, which reminds us to be persistent. 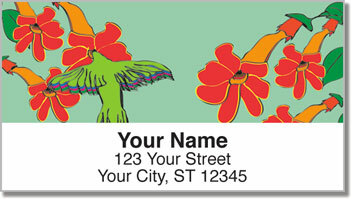 Flying Jewel Address Labels are not only artistic and attractive, they're also quite convenient. 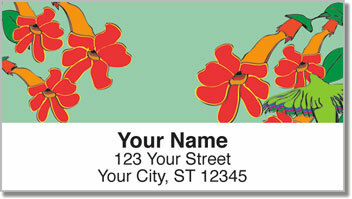 Stick them on every envelope to save time and hassle when preparing your outgoing mail! 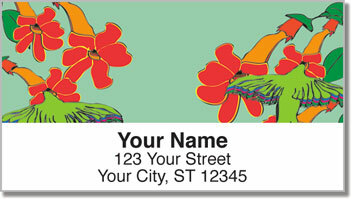 Get your very own Flying Jewel Address Labels today! 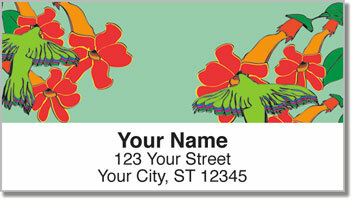 Complete your order with a set of matching personal checks.